A Quality Management System (QMS Software Systems) is developed as an aggregation of all processes involved when running a business. The primary focus is on meeting customer requirements to improve customer satisfaction with the firm. 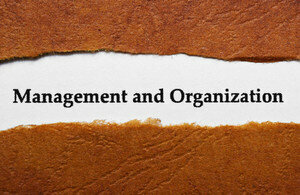 A QMS is designed on par with the purpose of the company and its strategic direction towards success. Furthermore, a QMS is a fast-track and cost-efficient method for enterprises to obtain ISO certification. Quality management is an important aspect of any business no matter what your product or service is. Obtaining ISO certifications gives you an advantage over your competitors as your services are guaranteed to attain consumer satisfaction. Just applying for ISO certification without incorporating a Quality Management System stands a higher chance of rejection than when a Enterprise Quality Management Systems is involved. First, the drawbacks in your business processes have to be identified with the help of an expert in Quality Management Systems. Those shortcomings are the reason holding back your business from procuring ISO certification. Once the quality management specialist reviews the setbacks, the Quality Management System can be developed to address those issues. Implementation of the said system will help your firm rise above the drawbacks and prepare your company to obtain ISO certification. Once the auditor visits to check the processes of your business and is satisfied by them, ISO certification will be yours. Although the process does seem pretty straightforward, it involves a series of alterations being done to the company’s daily operations. Also, once you have achieved ISO certification, keep in mind that it is essential to maintain the quality standards that were implemented to pass the annual audits. Obtaining ISO certification will help your business to rise above your competitors and shine a bright light on your presence in whichever field your company is involved in.